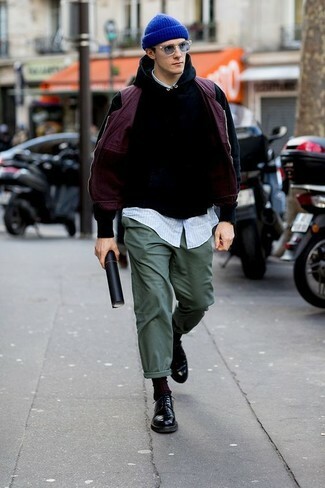 If you're hunting for a casual yet sharp getup, try teaming a purple gilet with dark green chinos. Both items are totally comfortable and will look great paired together. Channel your inner Ryan Gosling and go for a pair of black leather derby shoes to class up your getup. 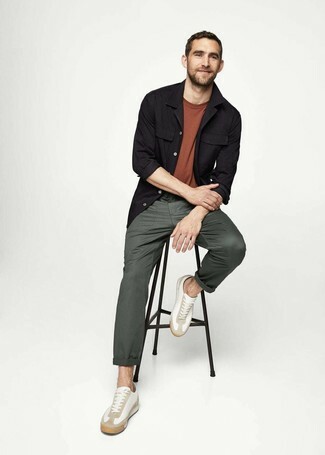 This combination of a black shirt jacket and ASOS DESIGN plus skinny chinos in bottle green from Asos is super easy to put together without a second thought, helping you look on-trend and ready for anything without spending a ton of time going through your closet. Make white leather low top sneakers your footwear choice for a more relaxed feel. 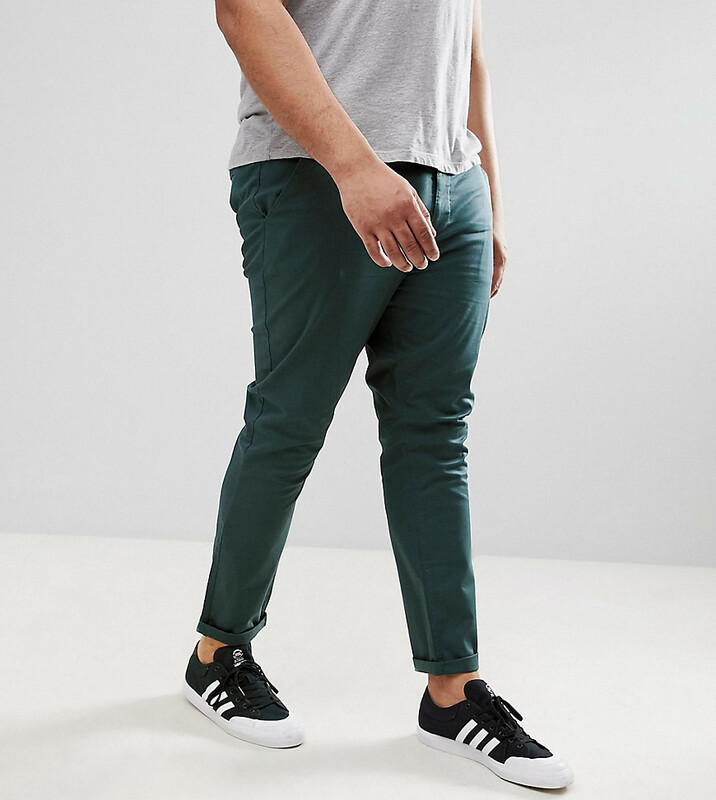 If you're searching for a casual yet seriously stylish ensemble, make a green print short sleeve shirt and ASOS DESIGN plus skinny chinos in bottle green your outfit choice. Both garments are totally comfortable and will look great paired together. Round off this look with white low top sneakers. 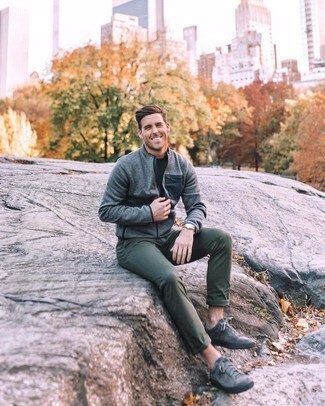 If you're on the lookout for a casual yet stylish getup, consider wearing a green-yellow windbreaker and dark green chinos. Both garments are totally comfortable and will look great together. When it comes to shoes, this ensemble is complemented really well with black low top sneakers. If you're in search of a casual yet stylish ensemble, consider pairing a black gilet with ASOS DESIGN plus skinny chinos in bottle green. Both garments are totally comfortable and will look great paired together. You could perhaps get a little creative in the footwear department and dress up your look with dark brown leather casual boots. Exhibit your skills in menswear styling in this casual pairing of a grey bomber jacket and ASOS DESIGN dark green chinos. Charcoal leather low top sneakers will add a more dressed-down aesthetic to the getup. 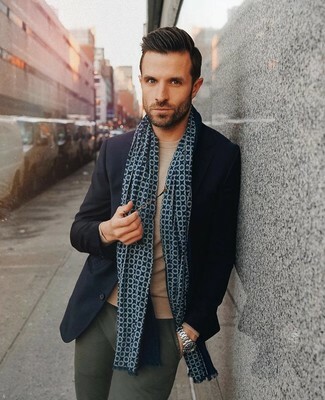 Dress in a navy wool blazer and ASOS DESIGN Plus Skinny Chinos In Bottle Green to put together a dressy, but not too dressy menswear style. 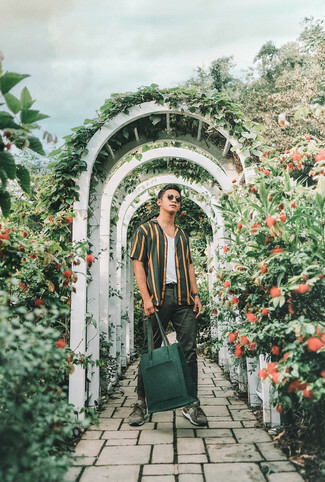 If you're in search of a casual yet seriously stylish outfit, consider pairing a dark green vertical striped short sleeve shirt with dark green chinos. Both garments are totally comfortable and will look great paired together. For something more on the daring side to complement this outfit, grab a pair of olive suede athletic shoes. 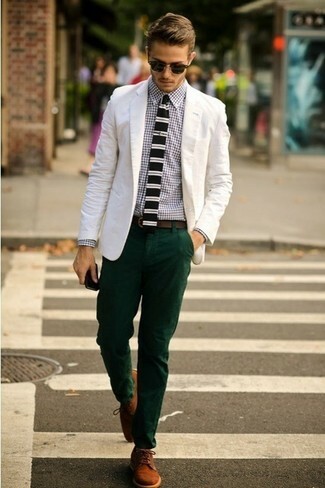 For a smart casual look, team a white cotton blazer with ASOS DESIGN plus skinny chinos in bottle green — these two items fit really well together. Bump up the cool of your outfit by completing it with brown suede derby shoes.